Bell Pottinger has been sanctioned amid allegations it deliberately stoked racial tensions in South Africa. The controversial PR firm's clients include Syrian first lady Asma al-Assad and the Pinochet Foundation. Bell Pottinger, one of the UK's largest public relations firms, was expelled from the country's trade body on Monday, after a committee found that one of its campaigns was "likely to inflame racial discord in South Africa and appears to have done exactly that." Britain's Public Relations and Communications Associations (PRCA) found that the firm played on South Africa's still-sensitive race-relations as part of a campaign in support of President Jacob Zuma. 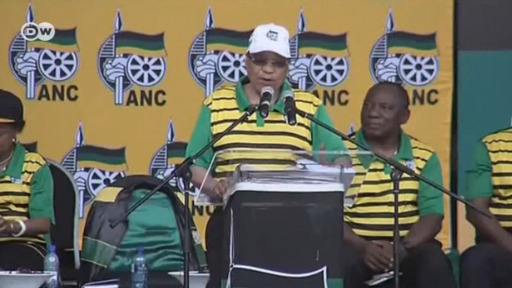 The campaign portrayed Zuma's opponents as agents of "white monopoly capital." Announcing Bell Pottinger's five-year suspension from the trade body, PRCA Director General Francis Ingham said the PR firm's actions in South Africa were "completely reprehensible." "I haven't seen work of this nature at any point in the past and I hope never to see it again in the future," he said. "The view of the PRCA board was that Bell Pottinger's actions were deliberately intended to create exactly the result they did - stirring up racial hatred in a very sensitive area of the world." The complaint against Bell Pottinger was first brought forward by South Africa's main opposition party, the Democratic Alliance (DA), which accused it running a "divisive campaign to divide South Africa along the lines of race" and "promoting economic apartheid." The campaign was carried out on behalf of Oakbay Capital, a holding company run by South Africa's Gupta family, which is accused of boasting undue influence in the country's political circles. No stranger to controversy, Bell Pottinger has a list of controversial clients, including Syrian first lady Asma al-Assad and the Pinochet Foundation, which promotes the life and legacy of the former Chilean dictator. PRCA head Ingham accused Bell Pottinger of bringng the industry "into disrepute with its actions," adding that the trade body had "never before passed down such a damning indictment of an agency's behavior." The suspension comes at no direct financial cost to the firm, which will, in theory, be able to continue operating as usual. However, "they will be doing so with the impact of significant reputational damage," the PRCA's Matt Cartmell said. "The potential impact on them is large because they've been publicly expelled from the PRCA as a result of their activities," Cartmell added. Reacting to the decision, Bell Pottinger admitted that there were lessons to be learned from the campaign, but disputed "the basis on which the ruling was made". The firm has initially appealed against the decision, which was first made in August, only to see the appeal thrown out by the PRCA's board of management. The message is clear. Racial segregation may be the law of the land, but it is deeply immoral. In the mid-1950s, members of the civil rights group Black Sash took to the streets to protest against the apartheid regime. A photographer preserved this moment for posterity. Black Sash was founded by white women. In 1990, Nelson Mandela described them as the "conscience of white South Africa." One of the most famous black photographers is arrested. Peter Magubane started out as a chauffeur and messenger for the legendary DRUM magazine. Jürgen Schadeberg, a German, taught him photography. Magubane sprang to international fame with his pictures of rebellion in the townships. He often had to hide his camera from the authorities - allegedly with the help of a hollowed-out bible. In the 1950s, the apartheid regime started dividing up residential areas along racial lines. After the Group Areas Act was passed, the mixed suburb of Sophiatown, a black majority cultural hub, was torn down and residents were forced to move elsewhere. Sophiatown was replaced by "Triomf" - Afrikaans for "Triumph" - a residential area in which only whites were permitted. Every day the residents of the black townships had to commute to work. The distances were long, the journey arduous. Yet even in the overcrowded trains, there were moments of heightened spirituality. Some of them have been captured by photographer Santu Mofokeng in an impressive collection. The role of faith in society remains one of his key subjects to this day. The Treason Trial was a trial in 1956 in which 156 South Africans, including Nelson Mandela, were arrested and accused of treason. A year earlier they had published a charter calling for the abolition of apartheid. Unwittingly, the trial promoted solidarity among opposition groups across all racial boundaries. One of the most famous pictures in the exhibition is a memorial in its own right. It stands in Soweto and is in memory of an uprising against apartheid by schoolchildren in 1976. 12-year-old Hector Pieterson was shot dead during the demonstration. Sam Nzima photographed the tragedy and his picture went round the globe. Collective grief is a recurring theme in these pictures. Funerals, such as the burial of the Craddock Four, acquired a political dimension. The four members of an opposition group were kidnapped and killed in 1985. It later transpired that undercover officers of the South African Defense Force (SADF) were behind the deaths. A nation full of hope in a celebratory mood. On May 3, 1994, it was revealed that Nelson Mandela was to become the first president of a democratic South Africa. "It was an unbelievable moment," said South African photographer George Hallett, who for the past 20 years had been taking pictures of South Africans in exile. He returned home to cover the first free elections with his camera. While the firm will be allowed to continue with business as usual, the ruling could force the firm to dramatically refocus its operation or even shut down in an industry that trades on reputation. Bell Pottinger co-founder Tim Bell told the BBC on Monday that it was "almost certainly" curtains for the firm, adding that "you can try and rescue it but it won't be very successful." Bell refused to take any responsibility for the campaign saying that, when he resigned in August last year, he had given the Gupta account as one of his reasons for leaving. The firm's chief executive James Henderson resigned on Monday, saying he was leaving so the firm could "fix the problems of the past and move forward." "Whilst I had no involvement in the account, there were warning signs that I should have heeded. Therefore I must take responsibility," he said. Marketing heavyweight Bell-Pottinger has been expelled from the British Public Relations and Communications Association. It's also lost numerous clients, including investment bank HSBC, over an anti-white PR campaign in South Africa. South African finance minister Nhlanhla Nene’s resignation is just the latest political upheaval in the years-long scandal involving the Indian business family, the Guptas and government officials.